In this podcast, Victoria and Aly share great ideas on how to provide enrichment for your dog when it’s cold outside. 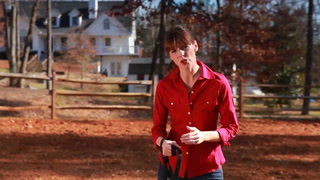 Aly shares some great canine fitness ideas, how to play hide and seek with your dog and making meal times more enriching. Today is Cinco de Mayo! This holiday is in recognition of the Mexican Army’s unlikely victory over the French in the Battle of Puebla in 1862. While not a holiday commonly associated with pets, if you are anything like me, you are always looking for an excuse to celebrate any holiday with your dog. Dear Dog Trainer, I see you. I see you caring for everyone around you, sometimes forgetting to care for yourself. You're a caretaker, a teacher, a guiding light - sometimes a therapist - to your clients. You then go home and provide the same nurturing care to your own family and friends. Click here to read the April 2017 Edition of the Positively Newsletter. As a trainer I have helped many clients prepare for their coming baby, but in going through this myself, I have adjusted my expectations, and also what I will be teaching from now on. Does your dog really love going to the dog park? In some cases, the answer is yes! For highly social pups, the dog park can be a mostly fun and stress-free experience. But if you've noticed that your dog spends most of his time at the dog park glued to your side or pawing at the exit door, it's worth considering some other alternatives. Here are some pointers for dog owners about finding a home that doesn’t create problems and some ideas to prevent barking if you already live in a house with an “un-dog-friendly” yard. Why did my dog’s reactivity get worse, when I’m trying my best? Does your reactive dog seem to be getting more fearful, anxious, or aggressive? Here are key strategies for change that you can put in place very easily. Season 6 ends with a bang as Holly and Victoria reveal two brand new releases that listeners will be able to enjoy. Is Your Dog Optimistic or Pessimistic? When presented with something new or slightly unusual, does your dog respond positively, presuming it to be good (optimism), or negatively, presuming it to be a bad thing (pessimism)? Dog Reactivity – what actually is it? Got a reactive dog? A fearful, anxious, or aggressive dog? A dog who barks and lunges at everything she sees? This is just for you! We can actually make our dog’s feel both calm and confident about their surroundings AND teach them a better way to cope when they do experience those emotions of overexcitement and overarousal. Real-Life Impulse Control For NBN Dogs: “Whip-It” Game! The whip-it game involves building real desire and harnessing your dog’s desire to chase, using a horse lunge whip with a toy attachment! We then apply real-life impulse control to it! We show you how to play it in our latest training video. “Reactive” dog? It’s time to turn struggle to strength! Naughty but nice dogs are often termed aggressive, reactive, angry, overconfident, EVIL - but - you know your dog isn’t any of those things really, they just need to be taught to make better choices and be happier about the things in their life! In fact, many of the things that NBN dogs do are often motivated by FEAR! 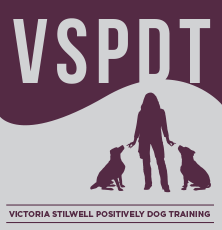 “Should I send previous clients thank you cards?” “How often should I send them?” “What should I say in a thank you card?” I often hear these questions from new or even experience dog trainers. While they are well intentioned, we can and should strive to create better ways of showing our support than a thank you card every once in a while.